I got these pictures from the Festival Facebook page, check it out! 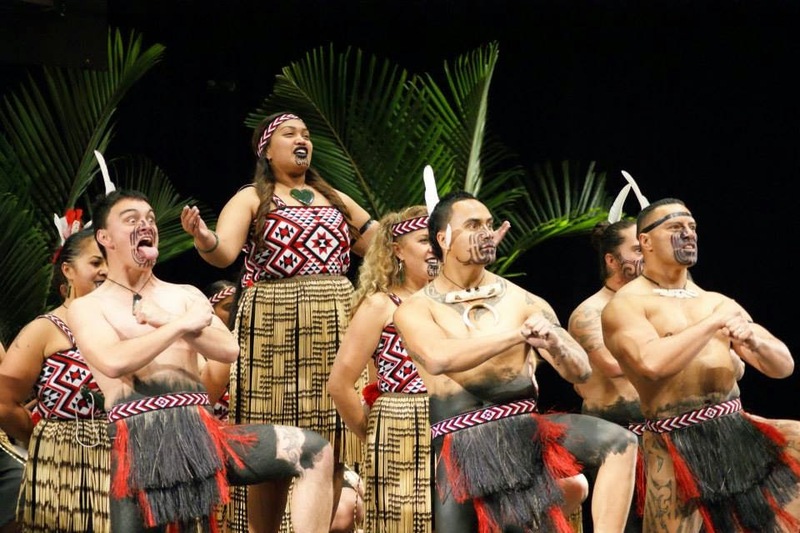 Haka - best described as a challenge. This is a really powerful chant done with men in the front and women in the back. It's very loud and aggressive. The men stomp and make grimacing facial expressions and body positions. They are meant to look as intimidating as possible, as this was a traditional war dance. It's also very rhythmic. The men chant, stomp their feet, and smack their bodies in 3/4 time. I literally got goosebumps. 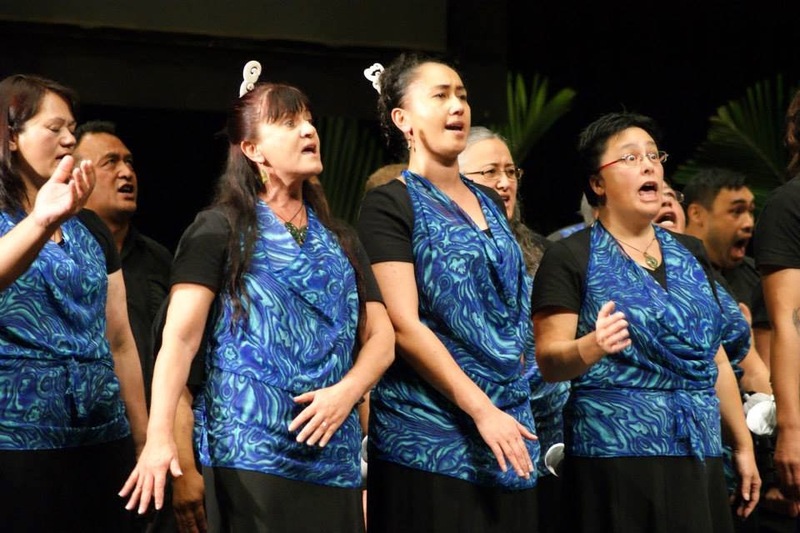 Waiata-ā-ringa - "song of hands or arms" or action songs that are performed with women in front and men in the back. This features a wiri or shaking of the hands to represent the trembles of life in our hearts. I've also read that it represents the heat waves from the sun or the ripples in the water, because Māori have such a deep connection with nature. There's my host mom, Helen! The second one on the left. 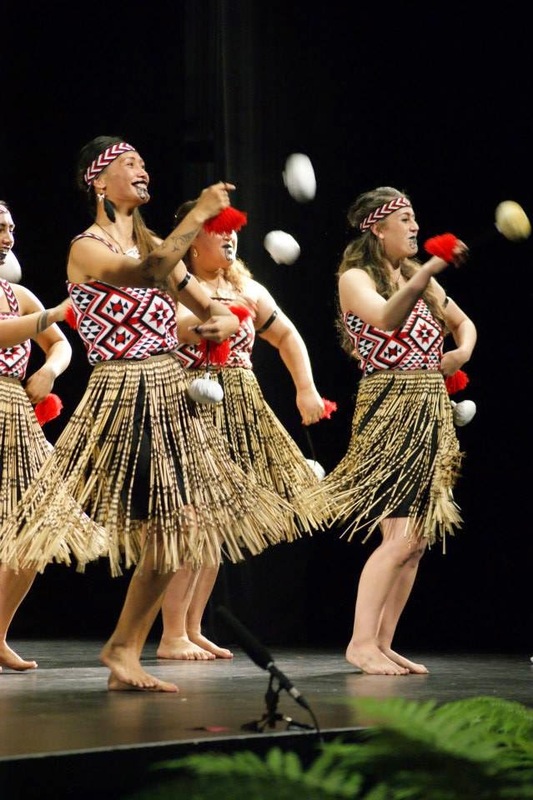 Poi - women's dance using a small, white ball on a cord that is swung around and hit against the body in unison. Poi were originally used by men for improving the agility of their wrists for battle, but are now used by women to display beauty and gracefulness. The sound of the poi is just as important as its movements. 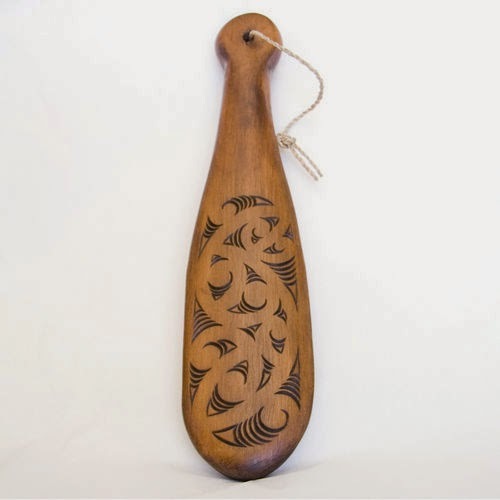 Men would dance with traditional weapons, such as patu, taiaha, and tewhatewha. Women wore skirts called piu piu that are made with flax. 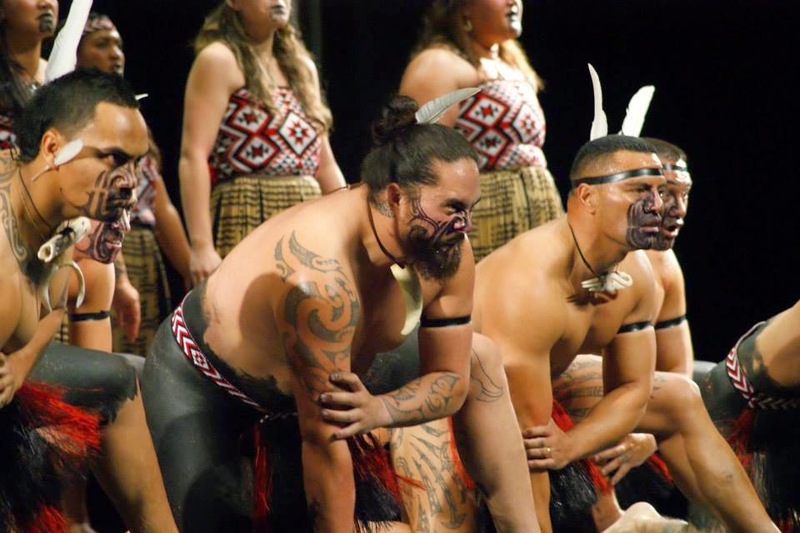 Also, the tattoos that are on people's faces (some are real, some are not) are called a moko. Traditionally these were worn by people with a high-ranking status or when coming into adulthood. Everyone wore pounamu or taonga, which means treasure. 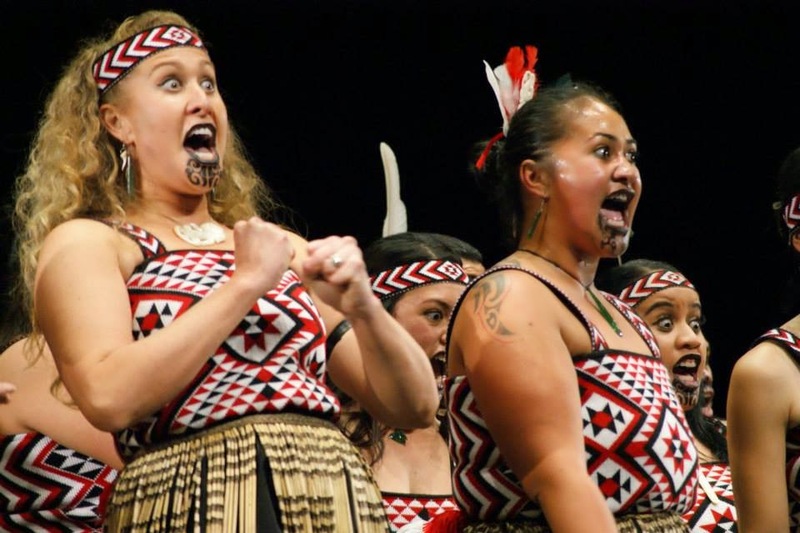 Everyone also did the grimacing facial expressions with their tongue sticking out, called pūkana, which represents defiance to one's enemies. After the festival, I went with Helen to an after-party for Te Tū Mataora. 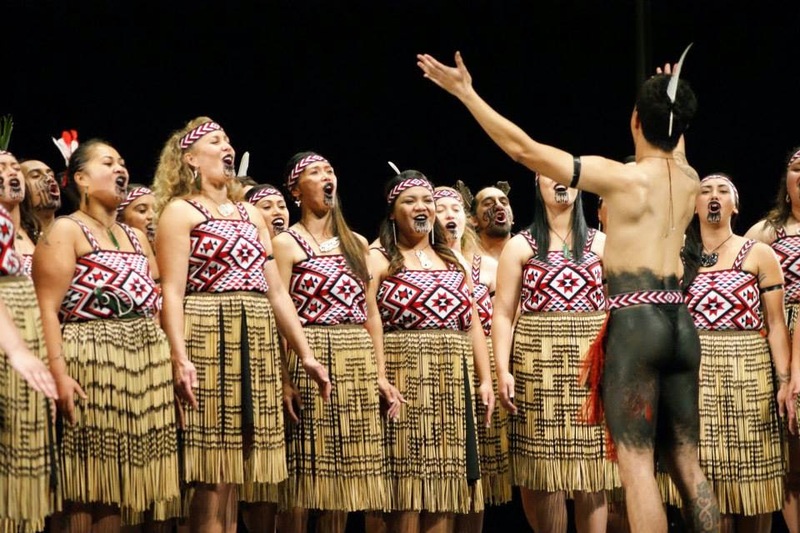 I should mention that the top two teams are entered into the National Kapa Haka that will be in Christchurch in 2015. Helen said that many people join groups just for fun so they can send the two best groups to nationals. The dinner was really fun and everyone was so nice. It was held at Rawiri's kura (school) so that was nice to see. I'll post more about it another day because I'll be taking a more detailed tour of it later. At dinner, I got to meet one of the elders and he greeted me with a hongi. It's done by pressing noses with someone and is the exchange of the breath of life and sharing of both people's souls. Helen said this is the greatest respect that someone can show you. It links you together to remember that you are both part of the oneness of everything that exists. It is meant to make a visitor feel like one with the people. 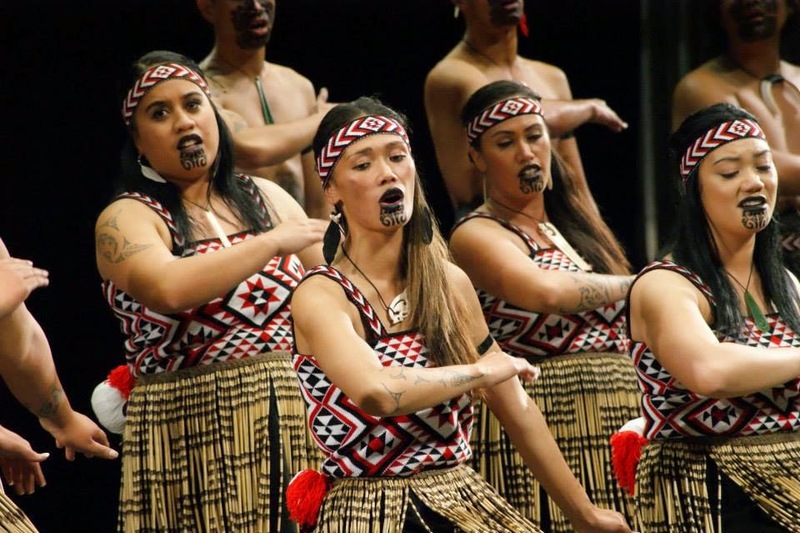 I have so much admiration and respect for the Māori people and culture. Their performances today were so powerful and their emotions so tangible. It was a really amazing experience. It's such a community too. Before the festival started, I watched everyone greet everyone else with hugs and kisses and at the dinner it was the same thing. Even when meeting me, a rando American, they were so friendly and making great conversation. Everyone there knew each other because everyone takes care of all of the children and shares the burden for any problems that come up. Everyone is family. 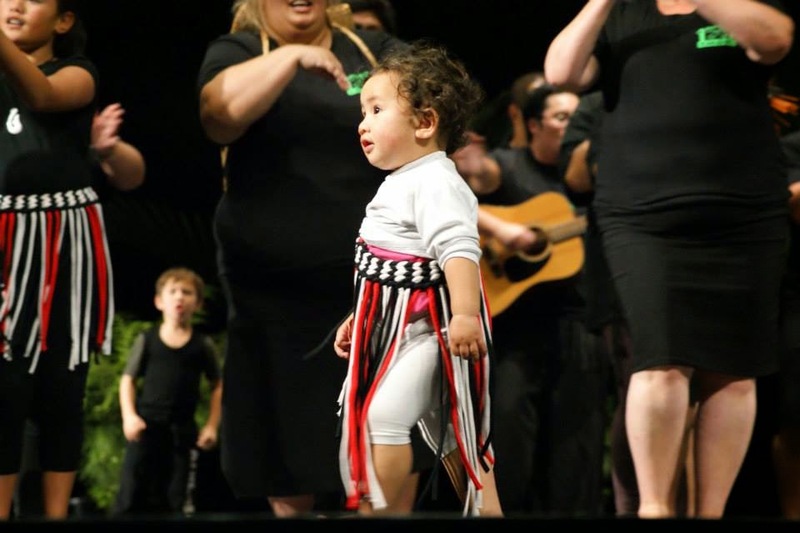 Whāia te mātauraga hei oranga mō koutou -- Seek after learning for the sake of your wellbeing.